Only one customer has reported this error. I need more examples to troubleshoot. When you only have one instance of an error, it can be hard to know where to start in troubleshooting the issue. Use FullStory to find more users with the same environment or similar navigation path. Your support agent sends you a FullStory session link where a customer reported an error. Click into the link and view the session details and user agent string at the top right of the page. 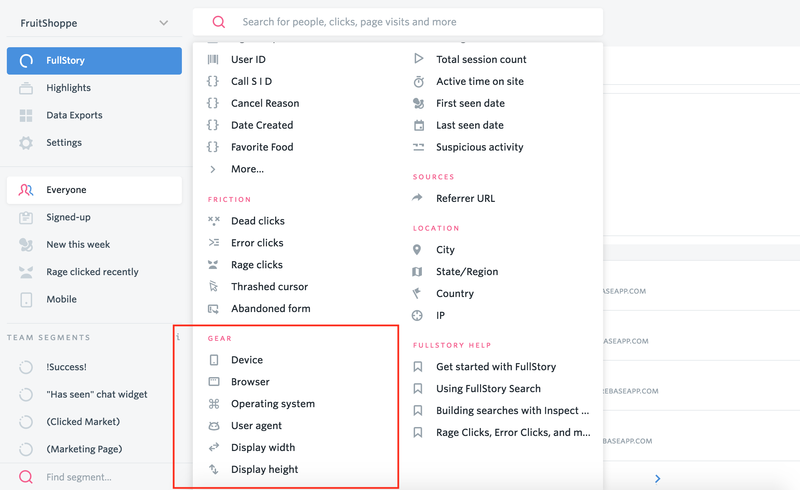 Add an Event Scope filter to find users who took the same actions as the error you're investigating. Did other users encounter the same console error? Were other users using Safari when this error occurred? Can I find users who encountered the same error while using Firefox?